We’re very proud that joining us from Los Angeles as our Headline Artist is one of Hollywood’s most distinguished creature designers, sculptors and teachers – the one and only JORDU SCHELL! Jordu will be on the Main Stage and will be in the venue all day so there will be plenty of opportunity to meet him. He has been in the film and television industry since 1987. 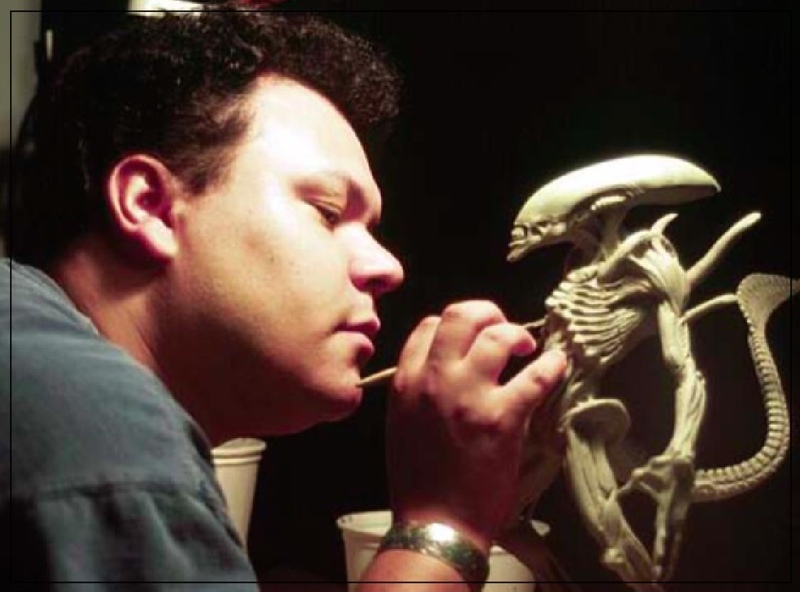 His talent as a designer and sculptor is world renowned, and his credits include ‘Avatar’, ‘The Chronicles of Narnia: Prince Caspian’, ‘300’, ‘Hellboy’, ‘Aliens vs. Predator – Requiem’, ‘Men in Black’, ‘The Mist’, ‘Batman Returns’, ‘Edward Scissorhands’, ‘Alien: Resurrection’, ‘The X-Files Movie’, ‘Predator II’, ‘Galaxy Quest’, ‘Evolution’, ‘Babylon 5-The Series’ (on which he designed an Emmy award-winning creature make-up and the first fully digital creature for a television series), and many more.